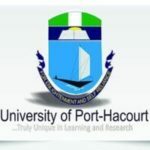 Federal University of Technology Akure, FUTA Postgraduate Admission Form registration procedures for 2017/2018 Admission is Out. Check out the registration procedures for FUTA 2017/2018 postgraduate application. Do you want to do FUTA postgraduate Admission form registration and you do not know if the application have started ? Again, are you already aware that FUTA postgraduate Admission form registration is Out but you do not know the necessary procedures to register ? We are glad to inform you that the Federal University of Technology Akure (FUTA) has called for applications from suitably qualified candidates for admission into the School of Postgraduate Studies for the 2016/2017 academic session. 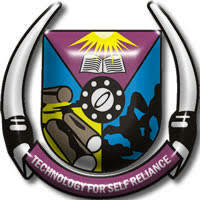 Visit the University website on www.futa.edu.ng to see details of courses available. (a) Full-Time students shall normally spend between twelve (18) and twenty-four (24) months. (b) Part-Time students shall normally spend between eighteen (18) and thirty-six (36) months. (ii) Masters Programmes M. Agric. Tech./M. Eng./M. Tech./ Professional Students shall normally be required to spend between eighteen (18) and twenty-four (24) months. (a) Students shall normally be required to spend between eighteen (18) and twentyfour (24) months. (a) Full-Time candidates may defend their theses between thirty-six (36) and sixty (60) months. (b) Part-Time candidates may defend their theses between forty-eight (48) and seventy-two (72) months. Candidates should process their application on-line at the University’s website (http//www.futa.edu.ng), using the e-tranzact method with payment made to the School of Postgraduate Studies account. Non–FUTA graduates should ensure that the official transcript from their Institutions is directed to the address below (indicating the target Department) latest eight (8) weeks from the date of this advertisement. a) Mix-up in username and password by applicants would attract extra charges. c) Candidates cannot transfer unsuccessful application from one programme to another. e) Applicants are no longer required to present O’level results for Postgraduate admissions. f) All applicants are reminded that Application Form and Acceptance Fee are non-refundable. Application Forms will be available for completion for Six Weeks beginning from Tuesday, 26th September, 2017 and closes on Monday, 6th November, 2017.